Last weekend I and a brother from CRBC enjoyed attending the 2012 Men's Conference at Trinity Church in Roanoke, Virginia. The folk from Trinity were more than gracious in extending hospitality throughout the weekend. Pastor Albert Martin preached a series of four messages on Crucial Issues of Personal Saving Religion. Martin preached vigorously and passionately about the need for personal holiness. The climactic fourth message in the series and its practical challenges on holiness is particularly well worth hearing. Fifth Doubt: Every time I begin to think I can see the marks of grace in me and that I am truly saved, I hear about some hypocrite or apostate, and I am shaken. Fear comes over me like a storm. Am I like this kind of person? Answer: These sorts of things ought to stir us up. We ought to examine ourselves seriously and impartially. Still, we should not always be in a state of suspense about our spiritual state. You can see the outside of a hypocrite. You can see his “spiritual” activity and emotions, but you cannot see inside him. You do not know his heart. You can only form a judgment of another person based on what you see on the outside. You would do well to judge others with charity. Again, you cannot know the secret springs of their actions. Rather than judging others, you ought to look at your own heart. You are the only person you can judge with certainty. You must look at yourself as no one else in the world can do. You can see things in yourself that you simply cannot see in others. A hypocrite’s religion may seem far greater than the religion of a sincere believer. Remember that what is great in the eyes of men is often of little value in God’s sight. I would rather groan with Paul (Rom 8:6) than shed false tears with Esau, prophesy with Balaam, or have the temporary joy of the shallow-ground hearers. There is a fire that will judge every man’s work to see “what sort it is” (1 Cor 3:13). If God does not judge by outward appearance, why do you? Without special revelation, you cannot know the sincerity of another man’s faith. But you can know the sincerity of your own faith, without any special revelation. This is why Peter exhorted the saints “to give diligence to make your calling and election sure” (2 Peter 1:10). Therefore, the actions of hypocrites and apostates should not disturb you. The important thing is seriously examining your own spiritual condition. Test yourself by these standards. Attached is the most recent issue of The Reformed Baptist Trumpet (Volume 3 No. 1). Yes, it's the January-February-March issue, and it's already April. Hopefully it arrives better late than never! Articles by Greg Barkman ("X-Rated Christianity") and W. Gary Crampton ("Seeking Salvation: Jonathan Edwards and Preparation for Salvation"). A book review of Michael Horton's The Christian Faith by Jeff Riddle. An excerpt from Benjamin Keach on "Five Tasks of the Pastor." You can also read this issue online at the Reformed Baptist Fellowship of Virginia website. May the Lord richly bless you in your lives and ministry! Note: Jeffrey T. Riddle is Pastor of Christ Reformed Baptist Church in Charlottesville, Virginia. 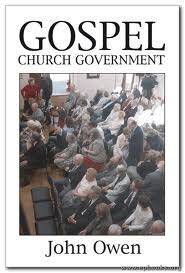 He recently completed a simplification and abridgement of John Owen’s classic “The True Nature of a Gospel Church and Its Government” under the new title “GospelChurch Government” (Grace Publications, 2012). The book is distributed by Evangelical Press. RBF: Tell us about Gospel Church Government. Riddle: This book is a simplified and abridged revision of John Owen’s classic work The True Nature of a Gospel Church and Its Government, from volume 16 of his Collected Works. It is being released this month (April 2012) by Grace Publications in the UK in their “Great Christian Classics” series. RBF: How did you come to work on this project? Riddle: I first read Owen’s original work in 2009. I was really struck by his interpretation of Biblical ecclesiology. As most know, Owen is not always easy to read and understand in the original. As I worked my way through the book, I thought that it might be nice if there were a simplified version to make it more easily accessible to modern readers. I know how much I have personally profited from reading some of the simplified and abridged versions of Owen that Banner of Truth has published (e.g., R. J. K Law’s Communion With God and Richard Rushing’s The Mortification of Sin). I also knew about the simplified “Great Christian Classics” series by Grace Publications. I had read a couple of the books in that series and used them in ministry, particularly Wake Up and Live (a simplified version of Joseph Alleine’s Alarm to the Unconverted—a great book to use in evangelism). The books in the Grace series are pitched at an even simpler level than the Banner of Truth abridgements. I contacted the editors at Grace Publications about working on a revision of The True Nature of a Gospel Church and Its Government, and they agreed that it would be a worthwhile project. RBF: Why consult a simplified revision rather than encouraging the reading of the original? 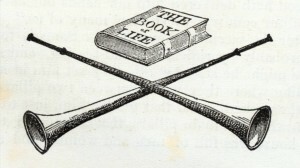 Riddle: I suppose there are some purists who would say that you should always and only read the original works. I recently read about a debate that broke out among English literature scholars over an abridgement of Sir Walter Scott’s classic novel Ivanhoe. My hope certainly is that some people might read Gospel Church Government and be led to take up and read Owen’s original. Perhaps reading this book first might even help them to understand Owen better. Others might not have the time or inclination to read the original, and they can, at least, have access and exposure to many of Owen’s important teachings on church government through this revision. Grace Publications also works with an affiliated ministry called Grace Missions which publishes some of the works in the series into other languages. We have such a store of Christian literature in English that many other languages do not have. I am hopeful that Gospel Church Government might be translated into other languages and Owen’s ideas on church government shared in other cultures. RBF: What is Gospel Church Government about? Riddle: This book is Owen’s mature reflections on the Bible’s teaching on church government. He wrote it in 1683, the year of his death, though it was not published until 1689. 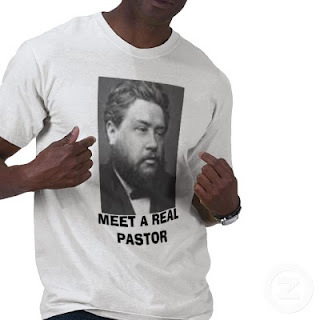 Owen had started out as a Presbyterian but then became a Congregationalist and Independent. In this book, he first discusses the nature and authority of the church. He then spends a lot of time on what he sees as the four Biblical church offices: Pastor (Teaching Elder); Teacher; Ruling Elder; and Deacon. He then discusses the practice of church discipline, warning in particular about abuses, and offering very practical pastoral counsel. Finally, he discusses the importance and necessity of fellowship or “communion” among churches. RBF: Why would this book be of interest for Reformed Baptists? Riddle: Owen obviously had a significant influence on the early Particular Baptists, including their views on church government. 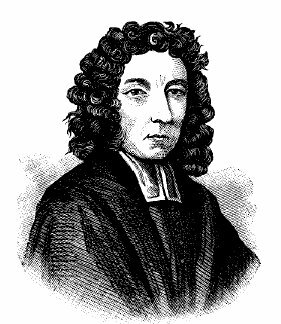 He was one of the principle authors of the Congregationalist Savoy Declaration (1658) which deeply influenced the Second London Baptist Confession (1689). Among contemporary Reformed Baptists there seems to be some recent renewed discussion, in particular, on the role of elders in the church. Does the Bible teach “parity” of elders? Is there a distinction to be made between Ministers and Ruling Elders? Given this, I think anyone would profit from reading Owen’s views on church officers. Owen gives emphasis, in particular, to Ruling Elders (two chapters in the original are condensed to one in this revision). Though this was minority position among the early Particular Baptists, James Renihan has shown that it was a view held by some (see his book Edification and Beauty: The Practical Ecclesiology of the Early English Particular Baptists, 1675-1705). Those who reject the idea of Ruling Elders will have to respond to Owen’s arguments in its favor. He was not known for holding a view lightly or unadvisedly. This would be one example of an issue this book addresses that might interest contemporary Reformed Baptists. Fourth Doubt: I sometimes feel that my love for the things of this world is greater than my love for God. How then can I call him Father? Indeed, it sometimes seems that the affections I used to feel for God are gone. I fear that all the love I ever had for the Lord has only been like a fit and a flash. I fear I am a hypocrite. Answer: It cannot be denied that an overriding love of the world is a certain mark of an unsaved man. “If any man love the world, the love of the Father is not in him (1 John 2:15b). Still, the most active affections are not always the strongest. A little brook sometimes makes more noise than a mighty river. The strength of our affections can only be measured by the firmness and steadfastness of the root. Suppose a person meets with a friend who has been out of the country. He has not seen this friend for a long time. His affections for that friend might, in the moment, be stronger than his feelings for his own wife and children. Would we conclude that he loves his friend more than them? Surely not! Even so, though a Christian might in the moment be moved with love for something in this world, this does not mean that he loves it more than God. Love to God is always more firmly rooted in a believer’s heart than is any worldly enjoyment. “He that loveth father or mother more than me, is not worthy of me” (Matt 10:37). “If any man come to me, and hate not his father and mother—he cannot be my disciple” (Luke 14:26). From these texts, we can infer that one who is ready to part even with his father and mother for the Lord’s sake loves them less than Him. First, there is an emotional love for Him. It is like a dart in the heart. It creates a holy love-sickness in the soul. It longs to enjoy the beloved. It is like the longing described in Song of Songs 5:8: “I charge you, O daughters of Jerusalem, if ye find my beloved, that ye tell him that I am sick of love.” Or it refers to a fullness of love, as in Song of Songs 2:5: “Stay with me flagons, comfort me with apples; for I am sick of love.” Such strong feelings are usually found in young converts who “sing in the day of their youth” (Hosea 2:15). They are sometimes so on fire for the Lord that they are even ready to criticize godly persons who have long been believers just because they do not share the same strong feelings. They mistakenly think that there is far less religion in the world than there actually is. When the froth settles below the brim in his own cup, however, such a man finds in himself the same things he once criticized in others. This should humble him. It should make him know his daily need for the blood of Christ for forgiveness and the Spirit of Christ for sanctification. So he grows downward in humiliation, self-loathing, and self-denial. Second, there is a rational love for Christ. This love is shown by a serious concern for God’s authority and his commands. When one has this love, he wants to please God by obeying him, even if he does not feel strong emotions. “For this is the love of God, that we keep his commandments” (1 John 5:3). The emotional love for God does not always continue with you. If you lack it you have no need to consider yourself a hypocrite as long as you maintain a rational love for Christ. This is true in the same way that a faithful and loving wife has no need to question her love for her husband just because she does not have the same emotional experience of love for him as when they first married. On the sermonaudio.com newsfeed I ran across this USA Today article about The Voice, the latest English Bible translation, released this month by Thomas Nelson. The Voice is a dynamic equivalent translation that reads like a story with all of the truth and wisdom of God's Word. Through compelling narratives, poetry, and teaching it invites readers to enter into the whole story of God with their heart, soul, and mind. This bold new translation engages readers like no other Bible. The problem with this approach is, of course, its tendency to devalue the plenary, verbal authority of Scripture by its failure to take each and every word as valuable. Even what the editors consider transitional words and phrases (“he said,” etc. ), omitted to achieve the “screenplay” flavor, are inspired words that should not be omitted. The translation team listed on The Voice website is an eclectic group including broad “evangelical” Darrell Bock of Dallas Seminary, "literary" Bible expert Tremper Longman III, and moderate Baptist academic Alan Culpepper. It also noticeably includes an egalitarian flavor with several women scholars (Beverly Burrow, Sheri Klouda, Nancy deClaisse Walford). The “writing/creative” team is even broader with a long list of pastors, poets, songwriters, and humorists. It is also notably heavy on “emerging church” leaders like Brian McClaren, Chris Seay, and Leonard Sweet. Though I could not find a discussion of the text on the website, they do have a search engine that allows you to read the NT of The Voice online. I searched for a few key passages and found that it (predictably) follows the modern critical text (e.g., “He” rather than “God” in 1 Tim 3:16; bracketing the Lord’s Prayer doxology of Matt 6:14 and the pericope adulterae of John 7:53-8:11; omitting the comma johanneum of 1 John 5:7-8; etc.). Perhaps most striking is what The Voice does with Mark’s ending. The traditional ending (Mark 16:9-20) appears in brackets, but The Voice also includes the so-called “shorter ending” (also in brackets) after Mark 16:20: “[And the women did everything they had been told to do, speaking to Peter and the other disciples. Later Jesus Himself commissioned the disciples to take this sacred and eternal message of salvation far to the East and the West. ].” There is an increasing tendency to include this spurious reading in the New Testament text (see the NRSV which places it in the body of the text and even the “evangelical” ESV which includes it marginally). Today's translations often present the Bible as a reference book filled with facts. 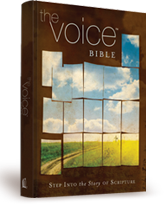 The Voice expresses Scripture as a narrative with engaging conversations, passionate poetry, and beautiful literature. The Voice brings literary art to the Bible. This Bible lends itself to dramatic readings; first, because of the beauty of the language, and second, because of the unique acting-script format. It is the Good Book that reads like a good book. My question: What’s wrong with seeing the Bible as “filled with facts”? Yes, it has some narrative, but a lot of it (like Paul’s letters) is doctrinal and didactic. Also, at the risk of again being charged with being a KJV-Only-ist, do we really think that The Voice is significantly going to contribute to the “literary art of the Bible”? Do we not already have an English translation that has had an immense linguistic, cultural, and artistic impact on the Western world (and beyond) over a long period of time? In case you haven’t figured it out yet, I don’t think I’m going to be a big fan of The Voice. 1. Its text and translation philosophy reflects a low view of plenary-verbal inspiration. 2. It wrongly assumes that the reason folk don’t read the Bible is because it has not been relevantly packaged to meet their needs, rather than concluding that men most often neglect Scripture because they are not spiritually hungry to read God’s Word. 3. It introduces yet another English Bible from Pandora’s Box into an already over-crowded market. It is, in fact, market-driven, rather than ecclesiologically driven. In the long run, the proliferation of such translations cheapens, rather than enhances, the perceived value and authority of the Bible. Someone on the RB list recently linked this incredible website that offers digital facsimile copies of many of the original works of Puritan Baptist Benjamin Keach (namesake of the Keach Conference) in pdf. Amazing resource! Image: Teams on the field for Opening Ceremonies. Image: Joseph played one inning at pitcher during his first real game. It's baseball season! The Opening Day Ceremonies at Cove Creek were last Saturday (April 14). League Commissioner John Grisham was there to kick things off. The season always begins wth an opening prayer and the singing of the national anthem. This is the 8th year we have played ball at Cove Creek. I am coaching the Hot Rods in the Rookie League (Coach Pitch) again this season. Isaiah is back on the team, and Joseph has moved up from bat-boy to player. I'm also the assistant coach of Sam's 13 Year Old League team, the Angels. This is Sam's 7th consecutive year with Tom Carter as his coach. 4. The importance of prayer for the missionary advancement of the gospel (vv. 30-33). In study for last Sunday's message, I was intrigued by the AV translation of the final phrase as "I have fully preached the gospel of Christ [peplerokenai to euangelion tou christou]" in Romans 15:19. As is typical of the AV, it is an aphoristic expression that lends itself well to preaching the text. From the translation, however, one might expect the verb here to be kerusso, "to preach," but it is plero-o, "to fulfill." "I have fully preached the gospel of Christ" (NASB, NKJV, RSV). "I have fulfilled the ministry of the gospel of Christ." But it adds the word "ministry" without placing it in italic. "I have caused to abound the gospel of Christ." Third Doubt: I find that my heart has been in more turmoil after I became a Christian than it was before. Is this consistent with someone who is supposed to have been changed by Christ? Answer: There are indeed dreadful cases of persons who appear to have become Christians, but who later renounce the faith and fall into gross and open immorality. It seems that the devil returns to their hearts with seven spirits worse than himself (cf. Matthew 12:45). Such persons are in an incredibly dangerous spiritual state. They risk sinning against the Holy Spirit. They must repent, before it is too late. This is not necessarily the case, however, with you. Corruption can be stirred up in a Christian even more strongly than it was before he became a Christian. It might appear to you that all the forces of hell have been raised to try to recapture you as an escaped fugitive. Such stirrings may indeed occur in those truly changed by Christ. When restraining grace comes up against the corruption in a new believer, it is no wonder that it tries to fight back, “warring against the law of the mind” (Romans 7:23). Sin will resist all the harder when it knows this new principle is seeking to cast it out. When the sun shines through a window we see all the dust in the house that we did not see before. So when the light of grace shines in our lives, we see the corruption inside us that we had not noticed before. Sin is not quite dead in the believer’s soul. It is dying a lingering death. It is being crucified. No wonder it begins to fight so hard! It knows it is about to die, so it struggles to live. Besides all this, the Christian might be faced with more and stronger temptations after his conversion. Satan has to work harder to try to bring back one who has escaped than he does to guard one who is still a captive. The author of Hebrews says, “After ye were illuminated, ye endured a great fight of afflictions” (Hebrews 10:32). He then adds, “cast not away your confidence” (v. 35). Remember that God’s grace is sufficient for you, and the God of peace shall bruise Satan under your feet shortly. Remember how Pharaoh and the Egyptians had the Israelites cornered at the Red Sea, but then God intervened and overthrew them (Exodus 14). Do not let this doubt destroy the foundation of your trust. Empty yourself. Be strong in the Lord and in the power of His might, and you will be victorious. Paul says here that the winning of the Gentiles under his ministry came “by word and deed” (v. 18b). This is expanded in v. 19a, as Paul reflects on his apostolic ministry. The early church had extra-ordinary offices (apostles and prophets) that have now ceased. Now, we have ordinary offices (elders and deacons; cf. Eph 4:11; 1 Tim 3). Paul and the other apostles were both preachers (by word) and miracles workers (by deed). Paul convinced Gentiles, in particular, of the truth of the gospel by powerful preaching and “through mighty signs and wonders” (v. 19). We find this is the pattern if we examine the ending of Mark’s Gospel. Jesus commissions the eleven (Mark 16:15) and then Mark records, “And they went forth, and preached everywhere, the Lord working with them, and confirming the word with signs following” (v. 20). At Iconium Paul is stoned and left for dead but God raises him up (Acts 14). At Philippi Paul commands an evil spirit “in the name of Jesus Christ” to depart from a young girl who has been manipulated by her handlers to serve as a soothsayer (Acts 16). At Troas he raises Eutychus to life after he fell from the third floor of a building (Acts 20). At Malta he survives a deadly snakebite after being shipwrecked and then successfully prays for the healing of the father of Publius, “the chief man of the island” (Acts 28). This aspect of Paul’s ministry is especially summed up by this comment about his ministry in Ephesus: “And God wrought special miracles by the hands of Paul” (Acts 19:11). To the Corinthians he could write, “Truly the signs of an apostle were wrought among you in all patience, in signs, and wonders, and mighty deeds” (2 Cor 12:12). Note well that these were “the signs of an apostle,” not of Christians generally. This was a special or extra-ordinary gifting granted to the apostles before the completion of the NT canon, and it ceased when the last apostle died. Even when the apostles had these powers many remained skeptics and gospel rejecters! In Jesus’ account (not a parable) of the Rich Man and Lazarus in Luke 16, Father Abraham tells the Rich Man who has begged for someone miraculously to come back from the dead to warn his brothers, “If they hear not Moses and the prophets, neither will they be persuaded, though one rise from the dead” (Luke 16:31). The age of the apostles has ended. We now have the Scriptures and the ordinary means of grace in reading, preaching, and teaching the Word. The passing of "Easter" Sunday reminded me of the use of the word "Easter" to translate to pascha in the KJV of Acts 12:4: "intending after Easter to bring him forth to the people." The usage is obviously anachronistic and to pascha would be better rendered by "passover." This TBS article by T. H. Brown provides a good summary of the issues, including how the KJV translators apparently followed Tyndale in using "Easter" here. I finally got the chance to listen this week to the follow up discussion on episode 213 of The Reformed Forum from back in January between Michael Horton and Lane Tipton on the doctrines of Justification and Union with Christ. For background, see this post and links. Worth hearing. Worship at Our Lady of Peace at 2 pm. No. 175 Man of Sorrows!